Blogging is a tool that can help to make your classroom activities more fun and enjoyable for students. By publishing their writing online, students will be able to assess each other’s work, track their progress and develop their writing confidence. Most people associate blogging with something you’d do in your free time so incorporating it into your classroom can bring an aspect of play into the overall serious routine. Finally, young people like everything that involves Internet, so blogging is a perfect way to make the image of generally hated activity of writing more positive. 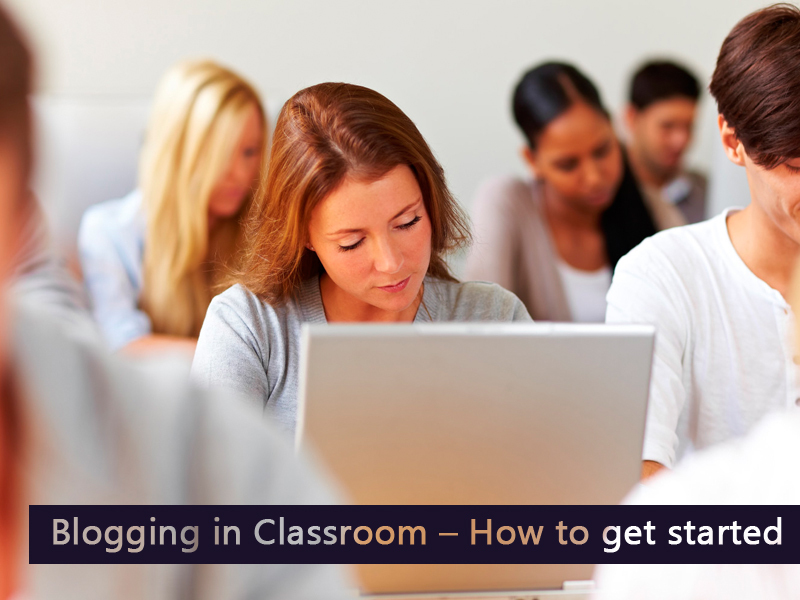 There are two ways you can introduce blogging in classes – by creating one classroom blog and letting all students leave their posts there or by allowing each student to set up their private blogs. Each approach has its benefits. To begin with, one blog for the whole class will make the job of the teacher a lot easier. You don’t have to send each student assignments individually and then check them on everyone’s blog. You’ll have all your working materials and homework in one place and you’ll be able to regulate everything for your liking, since you’ll be the administrator of the website. Secondly, by creating a blog for one group of students, you create a safe environment where they’ll have a chance to get feedback, but at the same time won’t be bothered by intruders, which could make them feel uncomfortable when sharing their writing. Finally, those students who feel uneasy speaking in front of the class or taking an active part in discussions are likely not to have these problems online. As a result, they will feel that they indeed are the members of a group, and it will improve their self-confidence. Personal blogs are useful for those students who tend to open up only when feeling safe. Knowing that you’re the owner of the blog and you can bring in changes whenever you want can increase confidence of many students and thus improve their writing skills. The second reason why personal blogs are good for students lays in the concept of audience. When a student is the only person responsible for the success of a blog, they will do their utmost to make it more popular among readers. Everyone likes knowing that your writing attracts an audience, and this can be an incentive to write better. Finally, when having a personal blog, students can work on its design to make it as close to their personality as possible. This helps to develop creativity and abstract thinking, which are necessary for good writing skills. Recently, more and more teachers started incorporating blogs in their classes, and the feedback is always positive. Many of them note that most students develop great writing skills in informal writing because they get genuine enjoyment from this activity and eventually they can carry those skills to academic writing.